Reduce the noise in your duct work by adding a silencer. They absorb the noise created by fans and from the air hitting the sides of the duct work. Silencers remove a lot of unwanted noise; two can be used in series where unwanted noise is a particular problem. With the higher flow rates of our professional fans, air noise can become a problem. Air moving through ducts creates noise. The faster the air the more noise is created. If noise is a problem connect a silencer to your system. They are most effective if positioned directly after a fan or after a tight bend in duct work. 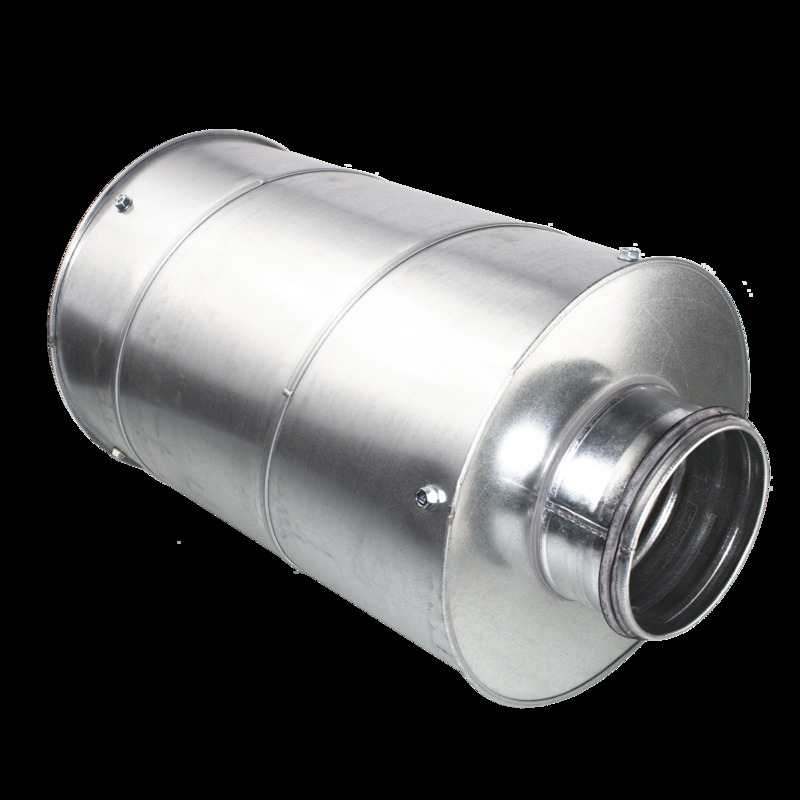 These high quality silencers are airtight and can be used in sealed ventilation systems.